A voice guides us through a timeless land. It is a familiar : we have already encountered it on the road. At times, it stumbles, and its classifications dissolve: an erring ethnographer, an orientalist traveller, a friend writing from far away. We slowly realise that it’s trying to make sense of it as the same time as us. A 12' photo-video that describes the ethnography of a fictional country named "Borders' Land”. Using a language inspired by 19th century ethnography and traveller accounts, it reviews the characteristics of a borderland zone, simultaneously abstract — even vague — and eerily concrete. 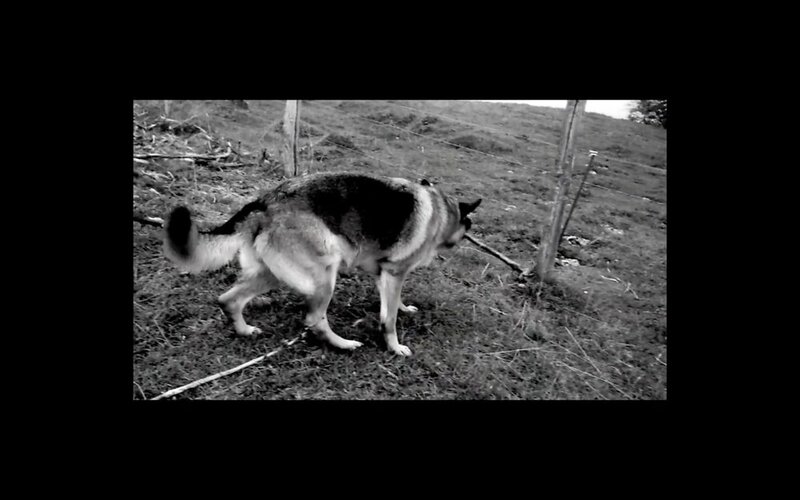 Throughout the video, keywords such as "barbed wire", the "other side” or "the bridge” form the vocabulary of a common tongue and perception, questioning the possibilities of descriptive discourse. Ending on an open interrogation, it leaves the viewer to ponder the universal nature of borders themselves. A first version of the video was presented in the Klingenthal Ausstellungsraum, Basel (November 2014). It was part of the collective exhibition "Connecting spaces", the first time both Abkhaz and Georgian artists' works were presented in public since the war that led to the secession of Abkhazia in 1992-1993.